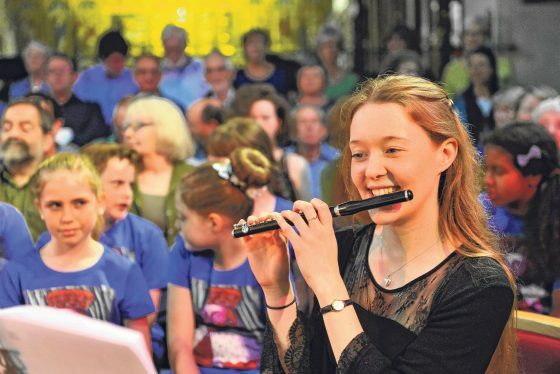 Some of the money raised through Faversham Music Club’s activity supports a number of different projects throughout the year which engage young performers and audiences in music. In 2016/17, the Youthworks fund will be supporting the Club’s first PIANO DAY in February 2017 as well as a chamber music workshop with the Lawson Trio in Queen Elizabeth Grammar School in April 2017. These young performers will be taking part in a pre-concert event on April 27th. FAVERSHAM YOUNG VOICES is a youth choir supported by the music club and run by Roisin Bishopp-Schyberg. They will be taking part in a concert on Saturday 3rd December.